Have you ever looked for authentic news on your mobile device and couldn’t find one? Have you ever stuck in traffic and wished you could have picked a newspaper that you saw earlier? Have you ever missed a job, tender announcement on a newspaper and couldn’t find it anywhere because it was last week’s paper? Have you ever thought of holding all local newspapers and magazines for the whole year on your hand? Have you ever think of reviewing what your children are studying at school on your mobile phone? Have you ever seen a library that gives you access to all local newspapers, magazines and books from the time we gained our independency to date? NOW: M-paper will give you all that. 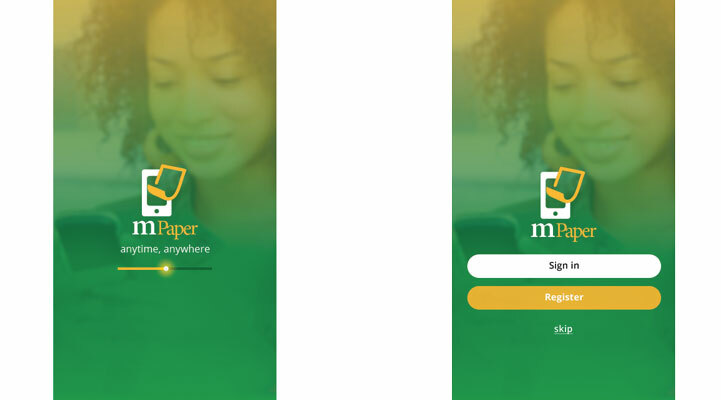 M-paper is a mobile application that brings together all local newspapers, magazines and books to the users’ of mobile devices. M-paper will enable the user to subscribe and access the whole magazine, newspaper and book on their mobile devices and have a feel of traditional hardcopy newspaper, magazine and book. Smart Codes a full service digital agency has launched M-paper. Read what you like inexpensively and conveniently anywhere anytime.